Anything in overdose will destroy your liver. I mean, look at cigarettes and look at liquor. Cigarettes says on the packet, this will kill you; it will cause cancer; and you're still smoking it. 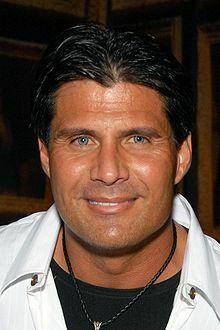 José Canseco Capas, Jr. (born July 2, 1964) is a former outfielder and designated hitter in Major League Baseball, and is the twin brother of former major league player Ozzie Canseco. It's done a lot of players a lot of good. And obviously, this drug is a drug where it's dose-related. Anything in overdose will destroy your liver. I mean, look at cigarettes and look at liquor. Cigarettes says on the packet, this will kill you; it will cause cancer; and you're still smoking it. I am and will always be just simply a basball [sic] player, my tomb stone will just say. Baseball. This page was last edited on 24 August 2018, at 19:12.